Romaine and Kamo lead the charge as magnificent Bees dominate and ‘jinx’ rules are established. 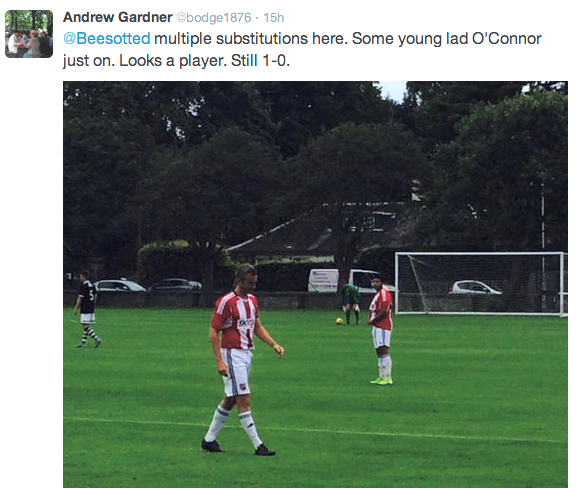 Brentford 3 Stoke City 1. Where to even start with this one? It was a performance that was every bit as dominant as the reports will suggest. It was a game that saw Thomas Frank make it 6 unbeaten as his team scored two quite magnificent goals following a calamitous o.g. opener from Ryan Shawcross. Yet most importantly, we got as emphatic an answer as one could hope to the question, “Does the ‘manager-of-the-month’ curse travel if the winner changes clubs after being nominated?”. This, after Nathan Jones had of course scooped December’s League One honours for his ongoing heroics at Luton Town. 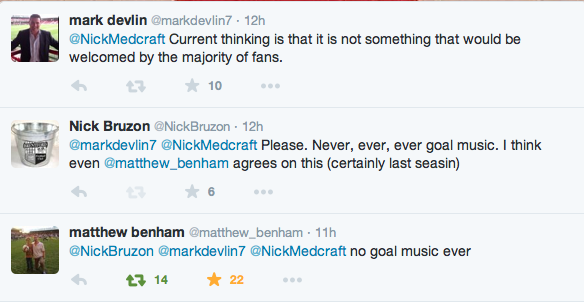 Brentford were magnificent. Slick. Irresistible. Irrepressible. Like a greyhound out of the traps, they were in the face of the visitors for the off. Much like the ball. With just 7(seven) minutes gone the Bees were ahead after an attempt to clear a corner (correctly taken ‘not short’) was simply hoofed into the face of Shawcross and returned straight back in the direction it had come . With interest. Boom. One-nil Brentford and more to follow. Neal Maupay almost made it two, forcing Jack Butland into a full length save to push the Frenchman’s goalbound strike from just inside the corner of the box around the post. With Brentford continuing to push (up) it wasn’t long before the lead was doubled. There was little over a quarter hour on the clock when Said Benrahma made it two. 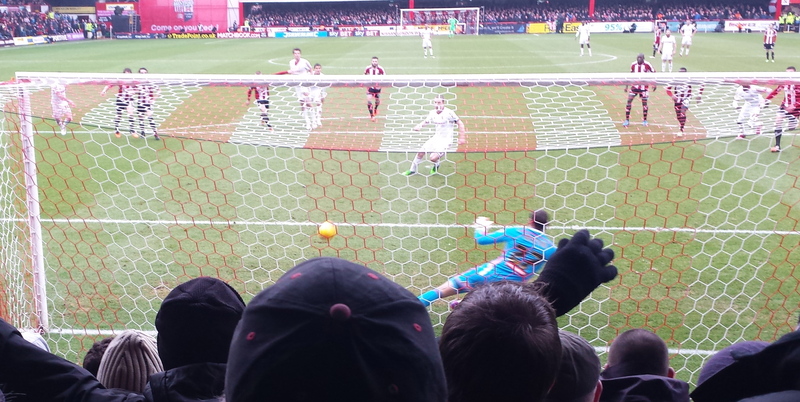 An exquisite first time connection from a slide rule pass into the box, delivered with aplomb by Romaine Sawyers, saw the ball steered wide of Butland for two. The crowd erupted. Benrahma followed suit, running half the length of the pitch to celebrate with his family. You could see the what this one meant from the smile on his face. It was a delightful moment but one which owed as much to the ball played in from his captain. Romaine may not have made the headlines today but he had a a game he’ll never forget. There were tackles, passes and sublime moments of skill that looked as though they had been made with the proverbial ‘ball-tied-to-foot with a piece of string. He was every bit of his very best, turning in a performance that has to be amongst his top three in a Bees’ shirt. Equal praise must be handed out to Kamo, who absolutely bossed the midfield. Looking through supporter comments on social media afterwards, MOTM award seemed to be very much a two way battle. Yet nobody should be overlooked after Brentford put in what was about a complete a performance as they come. Thnas Frank will sleep well tonight, that’s for sure. Nathan Jones will still be having the nightmares that must have begun to haunt him within a minute of kick off. Benik Afobe pulled one back in the first half but it was his and Stoke’s only meaningful contribution all afternoon. The rest of their game saw a reversion to the agricultural style of play we’d seen in the corresponding fixture up in the Potteries back in August. And then Rico Henry happened. The second half started much the same as the first had done. 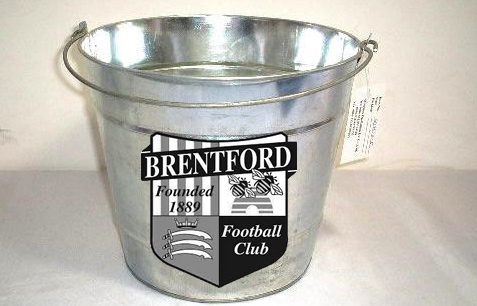 All Brentford. The highlights are up already c/o Sky but they don’t even begin to do justice to our play or the build up to Rico’s sizzling run that saw him cut into the box, keep on cutting before unleashing a low drive into the bottom corner. If the crowd had gone crazy for Said’s they were all on their feet for this one. What a move. What a noise. What a goal. It could have been more. Neal Maupay and Ollie Watkins both hit the crossbar in a period that saw Brentford continue to take the game to their opponents. It finished 3-1. It could have been more. Like Oxford in the cup, it was never in doubt. The defensive trio of Jeanvier, Konsa and Barbet as rock solid as they have been since Thomas Frank changed our formation and his fortunes. One does have to wonder how Chris Mepham will get back in to this team if they continue to play like that. The confidence emanating from the back line flowed through the entire team. Frankly, this is the easiest post-match column I’ve had to write in months – we really were that good. Neal pushed but didn’t get a goal his performance deserved. How nice, also, to see the goals starting to come from other areas of the pitch. To see chances created by players other than Maupay. To see Jeanvier really starting to deliver and Kamo back to last season’s best. The other thing to come out of today’s game was an answer to the question posed in the previous column. Namely, “Is the manager of the month curse transferable? Or does it stay with the winning club”. This, after Nathan Jones – then of Luton Town – was named as one of the nominees for League One manager of the month for December. He subsequently took up the reins at Stoke and picked up the award itself on Friday. Just over 24 hours later the trophy holder proved that the jinx travels. He saw his new charges played off the park to add another notch in the ‘L’ column whilst Luton picked up a point in the League One top-of-the-table clash with Sunderland. 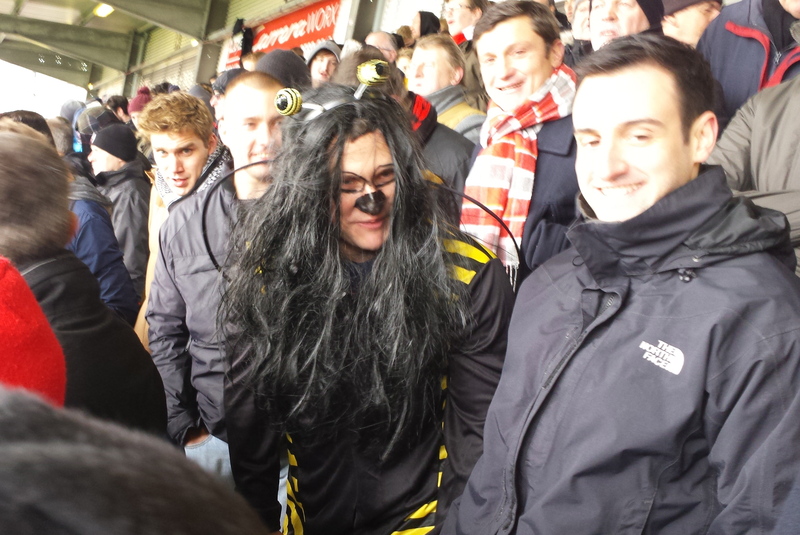 But, to be fair, the Bees were so good today that Thomas Frank could have run over a black cat on the way to the ground whilst ducking under a ladder and we’d have still got the win. 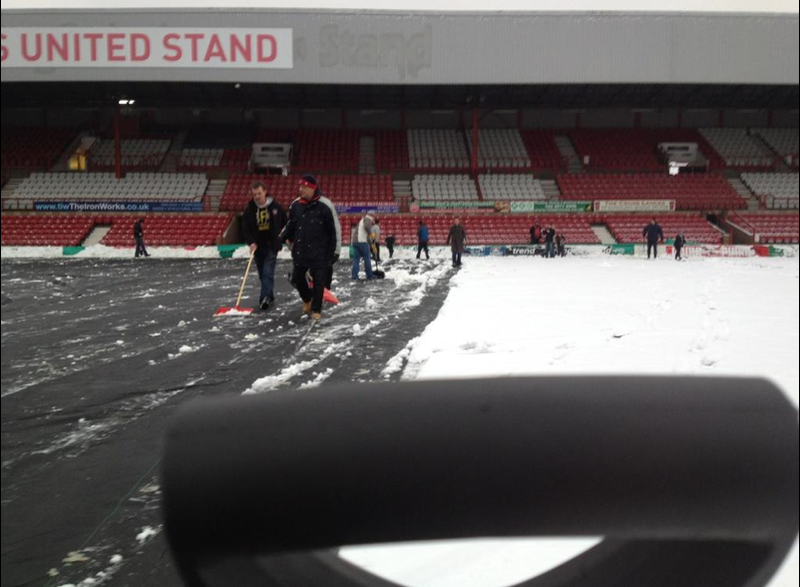 Even Mrs. Bruzon was allowed back into Griffin Park (by Harry) to see us at our very best. Long may it continue. Roll on Rotherham next weekend when we find out. 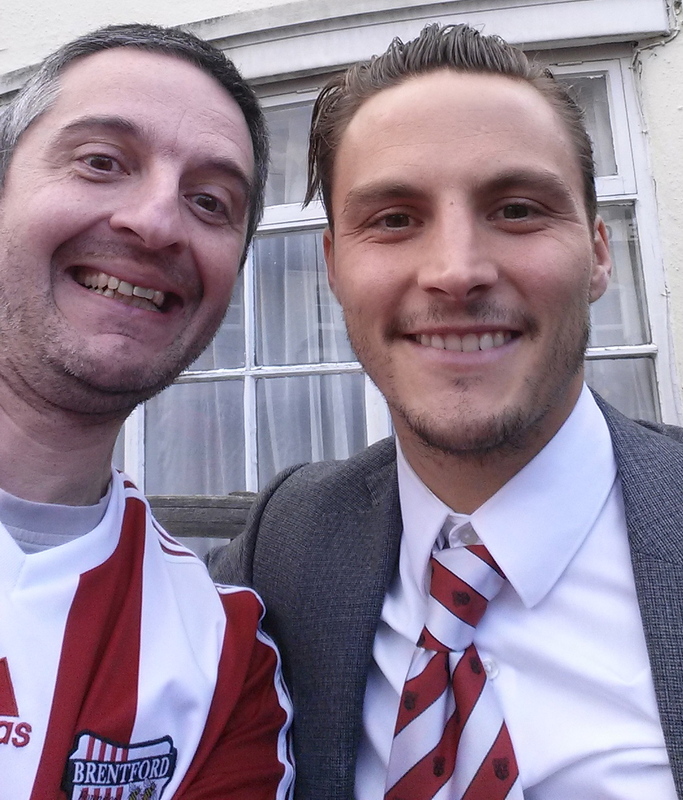 Billy’s gentle probing confirms Douglas departure as Bees go down. After the high of victory against Stoke City at the weekend, Brentford came back down to earth with a bump, of sorts, following Tuesday night’s 2-1 defeat at Luton Town. And elsewhere, there was a surprise turnout for the development squad at Dundee United. 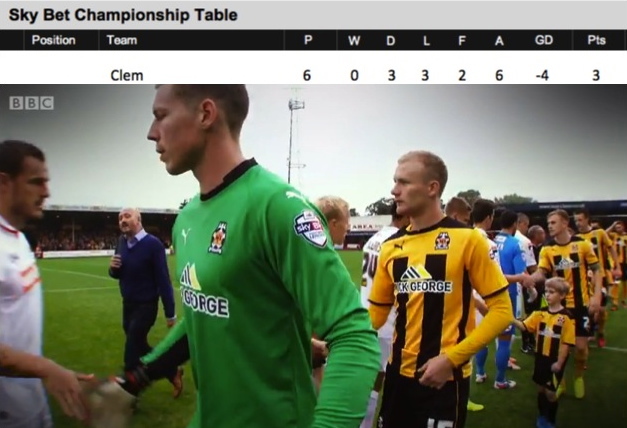 First though, the Luton game. I wasn’t there – and fairplay to the 242 Brentford fans who did make it across – so it’s hard to say much in regards to the performance directly. I, like many, was reliant on Beesplayer where we learned as much after the game as during it. Billy Reeves, who had used half time to give us a potted run through of his pre-Bees career (including a lexicon of fascinating facts about former band mate Sophie Ellis-Bextor) then flipped the tables. Having been gently probed by Mark Burridge at half time he adopted his own, more typical, role of interviewer to quiz Marinus. I like Billy. A lot. We all know what we are going to get when he is in the hot seat and, as he had earlier told Mark, its because he is a fan. He asks those questions we want to know. Sure enough – the big one on everybody’s lips at present is about Jonathan Douglas. 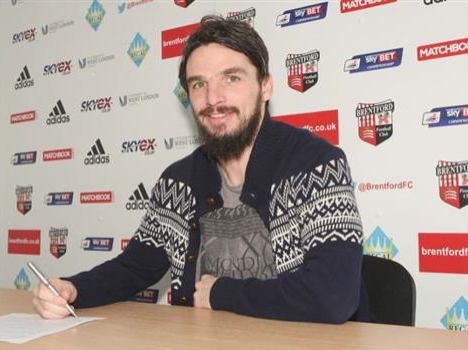 We’ve all read the stories to suggest that he’s on his way out of Griffin Park but was it true? This is a rapid fall from grace for the previously untouchable midfielder and one does wonder if anything else has happened behind the scenes to trigger such a course of action. Whilst the legs were clearly catching up on him in the second half of last season, don’t forget he was captain as recently as the Boreham Wood friendly. Some will cry – Dougie was very popular with many supporters. Personally, I was of the opinion that his time had come. The goals were great but we were left exposed time and again last season by those meandering sorties up field that then left a gap you could park an oil tanker in. With the midfield already providing problems of the best sort – and Dave Morley, alongside Mark B, really struggled to name his own starting XI for the season opener against Ipswich – perhaps Dougie has paid the price. I’d still expect more to follow him out of the door, though. Up front, Philipp Hofmann got the goal for Brentford – his second in as many games – which prompted more questions about that position. Specifically, Andre Gray. And only because, like Dougie before him, the other nagging rumour that won’t go away is in regards to potential bids for him. Hull City AFC are the latest team being inked to a bid. Sadly Billy missed his cue on this one. You could almost hear the self-administered ‘slap to forehead’ as he realised, with our head coach having departed, that this was the other thing he really should have asked about. The official line from the club is that Marinus wants all his players to stay. I’d hope so. Still, like the first team, this is all about getting back up to full speed. Billy’s gentle probing is always a great reason to stick around after full time for anybody unfortunate enough not to be at the game. Like the Bees, perhaps it was only natural that we might make the odd mistake as we get back into the swing of things after the summer break. Besides, Billy did learn another key nugget of information. That the team to line up at Norwich City on Saturday will be 90% of the one Marinus expects to start against Ipswich Town, in the league, the following weekend. Dave Morley – you’d better get your notepad ready. And finally, Kevin O’Connor. Firstly, a reminder that 100% of any sales of my season reviews 2013/14 and 2014/15 are currently going towards his charity cycle ride this weekend. I had promised to donate anything raised and challenged my fellow author (although that is the loosest term when it comes to yours truly) Greville Waterman to do the same. Fairplay to Greville who has already weighed in with a very generous donation. Certainly, that’s something I’ll match in the likely event it doesn’t get surpassed ahead of the designated time – next Saturday. Alternatively, if you’d like to contribute to the casue directly then you can do so at www.givey.com/ride100bfccst aswell as learning more about this event. So perhaps it was with this cycle in mind that the development squad had a somewhat familiar face in the line up at Dundee United yesterday (and thanks to Andrew Gardner, @bodge1876, on twitter). Was it merely an attempt to keep fitness levels up or is Kev contemplating what Sid Waddell so famously once described as “The biggest comeback since Lazarus “? It would be fair to say that yesterday’s article attracted a mixed bag of comment from the Leeds United fans after their side had gone down 1-0 to fourth placed Brentford. Some of it fair and sporting; other parts evoking the spirit of John from Wolves (a frequent visitor to these pages last campaign). That’s football – we all have an opinion and the multitude of options available in cyberspace make it all the easier for us to express it. 1974-75. As footballing giants Leeds United were playing Bayern Munich in the European Cup final, ‘tinpot’ Brentford were battling it out in the fourth division with the likes of Workington, Southport, Mansfield Town and Darlington. How times have changed. Fast forward four decades to where Brentford are the ones pushing for the top flight and, with it, the possibility of Champions League qualification. Leeds, meanwhile, are wallowing in the memories of days gone by as they flirt dangerously with the Championship relegation zone. Could Leeds clean up against tinpot Brentford ? Time to ring the changes ? Brentford head to Leeds United on Saturday with the news that Warbs has missed out on his second manager of the month award in three months. Instead, as suspected, Aitor Karanka of Middlesbrough emerged as a deserved winner for January. His side’s 1-0 win at Brentford last weekend being the deciding factor (although, by all rights, that is a game that should probably still be under way given the amount of second half timewasting that took place). Could the one time ‘hottie of the year’ (right) see more action ? Early morning visitors to the official site may have had to check twice after seeing the story that Brentford manager Mark Warburton has not only been nominated for Manager of the Month, but he has also ‘won’ . Whilst Aitor Karanka of Middlesbrough is, surely, a shoe in for the January award after picking up 10 points out of 12 (including victory at Griffin Park) it is testament to Warbs that he has been nominated (along with Neil Redfearn at Leeds United and Steve Mclaren of Derby County). After all the build up it was Middlesbrough, with the returning Adam Forshaw in tow, who emerged the winners from Saturday’s table top clash with a 1-0 win over Brentford. It was a game the Bees can count themselves unlucky not to have got out of with at least a point but when you are up against the division’s meanest defence (a mere 18 Championship goals conceded in 28 games) then you need to take chances when they are presented. Also spotted on the terrace was this the result of a bet, an attempt to beat the cold weather or a stag night prank? Infact, it turned out to be the latter rather than the club looking to replace Buzzette during the transfer window. Could Buzzette face competition before the transfer window closes? Game on? Forget about the past, we’ve all stepped up. Brentford entertain Middlesbrough today in the most hotly anticipated game of the year, so far, at Griffin Park. Whilst Bournemouth’s win at home to a Watford side who had to play all but the first thirty seconds of the game with ten men may have denied today’s winners a chance to top the table, there is still plenty at stake. First up though, will we even get the chance to kick off against Middlesbrough? Well, that hurt. Brentford ended up on the wrong end of a 4-0 defeat at the hands of a Middlesbrough side who eased into the play off zones of the Championship. And it wasn’t even the scoreline (as we all know how tight the 3-0 reverse to Norwich was ) but the manner of the performance.